Bringing clarity to a serious brand vision. Vision Express has more than 390 stores nationwide and is one of the leading and most trusted opticians in the UK and Ireland. Tribe has an ongoing relationship with the brand and we’re dedicated to helping them evolve and remain competitive in a very challenging marketplace. As a brand, Vision Express needs to talk with authority and clarity – whether it’s promoting an aspirational brand’s latest fashion range or informing a customer they’re due for an eye test. Tribe has been a long-time partner for the Vision Express brand, working on projects that range from the planning, design and development of acquisition and retention campaigns, to internal engagement, exhibition design, and a host of retail campaigns across print and digital with some of the world’s biggest fashion brands. Together we’ve produced an eclectic range of brand communications, making sure the Vision Express voice is consistent and compelling across the board, and offers the audience that vital point of difference as eye health experts in an increasingly competitive market. We’ve improved brand and reputation and driven sales by delivering professional, relevant, timely and rewarding communications across many dual-branded mailings. Our Barbour campaign recieved a 6.8% response rate above the industry average, and our work on Ray Ban LiteForce campaign brought a 900% net return on investment. Tribe has been involved with the Vision Express ‘Sun Season’ peak campaign for a number of years now. Showcasing key trends for men and women, we created a vibrant campaign with depth and stand out. We directed aspirational photography to capture readers’ imaginations and drive them into store, while colour and angles formed the thread that made it feel cohesive and sharp. Who better to plan and art direct a photoshoot for the Sun Season in-store campaign than those working at the sharp end of the brand? Together with our friends at Scene Photography, Tribe worked with a talented bunch of stylists and models to deliver some stunning images for Vision Express’ summer campaign. Alongside in-store magazines, the concepts were rolled out across a direct mail and email campaign. This generated a 5.3% increase in response rate compared to the industry average. Every sun season calls for a fresh approach. We’ve explored a number of interesting ideas through our campaigns for Vision Express, using creative reveals and folds for direct mail pieces, conceptual animations across emails and fluorescent inks for a visually striking campaign. Vision Express received a 10.9% response rate across all touch points for our 2015 Sun Season integrated summer campaign compared to the industry average of 5.6%. Year on year we produce campaigns that go above and beyond the average – creative campaigns that bring a strong commercial return. We’ve developed campaigns for some of the world’s most recognisable brands with Vision Express. 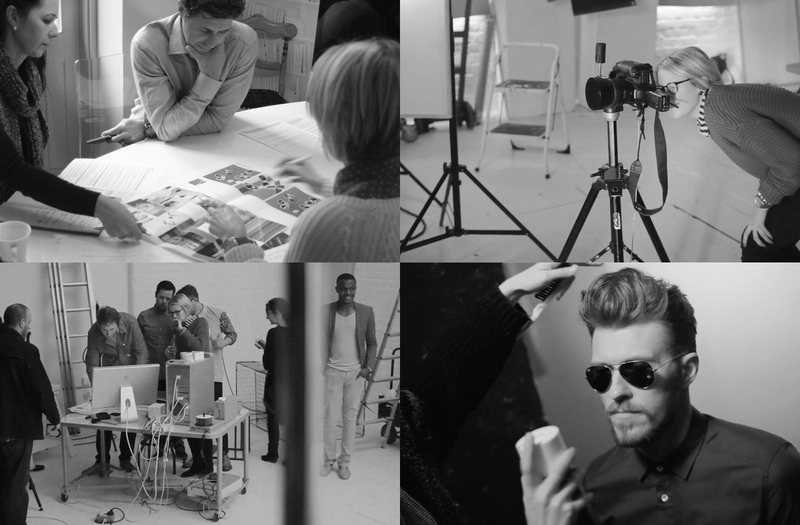 Names such as Ray Ban, Oakley, Tag Heuer, Cartier and Barbour have benefitted from our creative campaigns. Working on dual-branded projects often throws up a set of unique challenges – not least the fact that very often we’re developing work that needs to be strategically sound for both the Vision Express brand, and the retail/fashion brand. That’s multiple visual identities and brand voices that need to sit together seamlessly. We manage the whole process, from planning the campaign to the ideation of initial concepts – right through to making sure the campaign lands on the doorsteps of the audience and gets noticed. The Vision Express ‘Vision Van’ traversed the country offering free eye tests carried out by a Vision Express optician as part of National Eye Health Week. Tribe developed a social campaign plan and created real-time tweets to promote, and build awareness and anticipation around, this fantastic initiative. 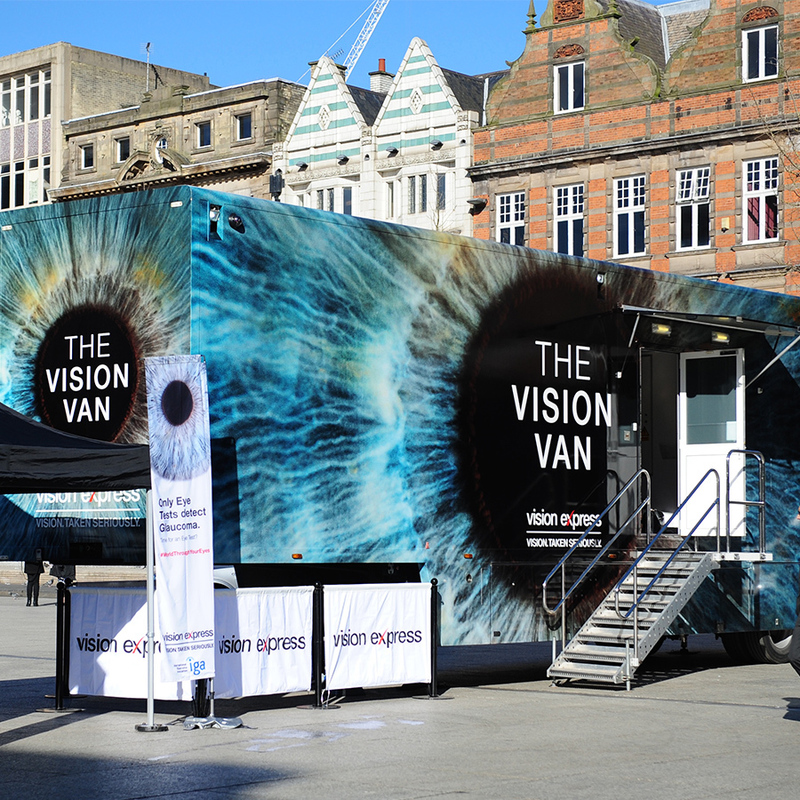 The Vision Van visited five cities across the UK, which included areas most at risk of preventable sight loss, offering comprehensive eye tests carried out by a Vision Express optician, free of charge. Over 2,000 free eye tests were claimed during the five days, and of those tested during the initiative, 70% required a new prescription. The campaign saw Vision Express nominated for a number of industry and marketing awards, including the ‘Purpose Beyond Profit’ award at the Marketing Week Awards 2016. "For the launch of a new Cartier eyewear range, our targeted Direct Mail campaign achieved a 10.6% response rate compared to the industry average of 3.4%"